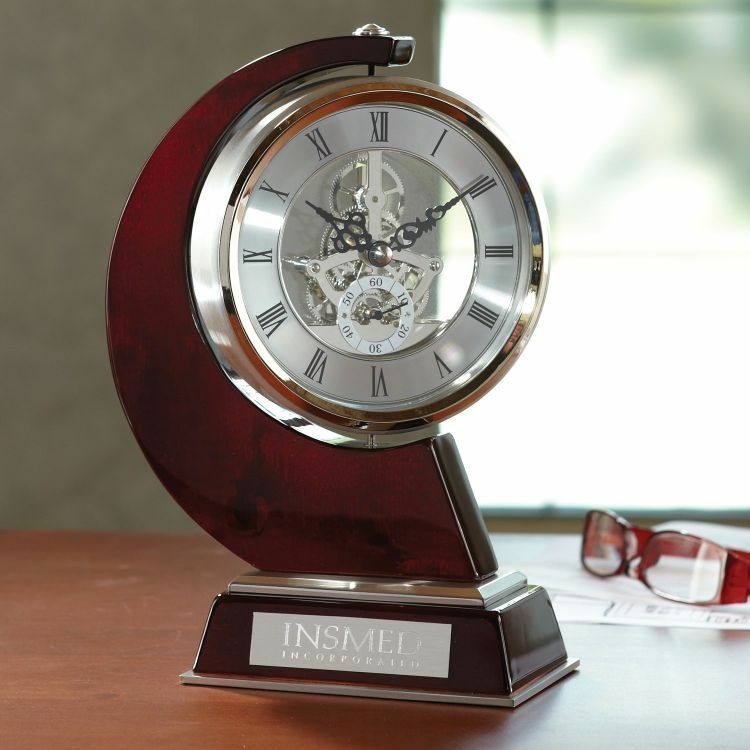 See the intricate workings of this stunning skeleton clock from all angles as you rotate the clock dial 360 degrees. 6.625" x 9.5" x 3.375"
Imprint Dimensions: 3.375" x .75". Imprint Location: Base, Silver Plate.